Deutsche Bank has a vacancy in its capital markets and treasury solutions department, having just lost Hakan Wohlin, the global head of Debt Organization, who is leaving the bank for unknown reasons. 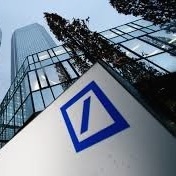 Deutsche Bank has made a number of moves across its global business, including an uptick in appointments to its FX operations over the past few months. Last week, the bank appointed Ahmet Arinc as its newest head of global FX, just one month after Richard Herman took over its fixed income and currency markets business. Mr. Wohlin has been serving as Deutsche Bank’s global head of Debt Organization since 2010, having joined in 2008 as co-head of DCM, a client coverage group for Western Europe.